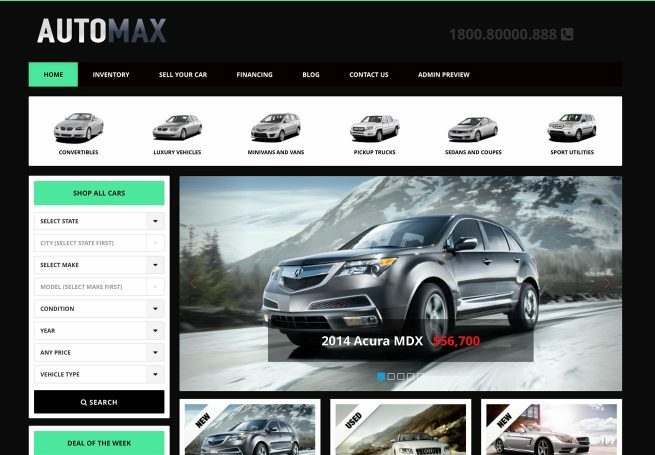 Professional WordPress Car Dealership theme solution, Vin Decoder, import-export external inventory with schedule imports, lighting fast search and full mobile responsive design. 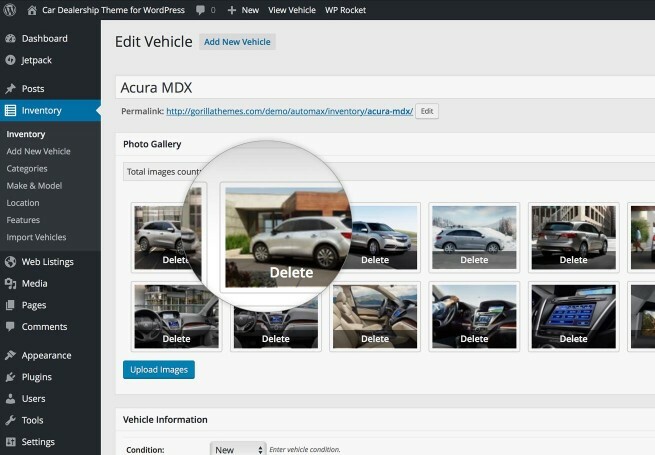 With the included WordPress customizer add unlimited color styles to your theme to showcase your listing with a gorgeous layout and design in one click. 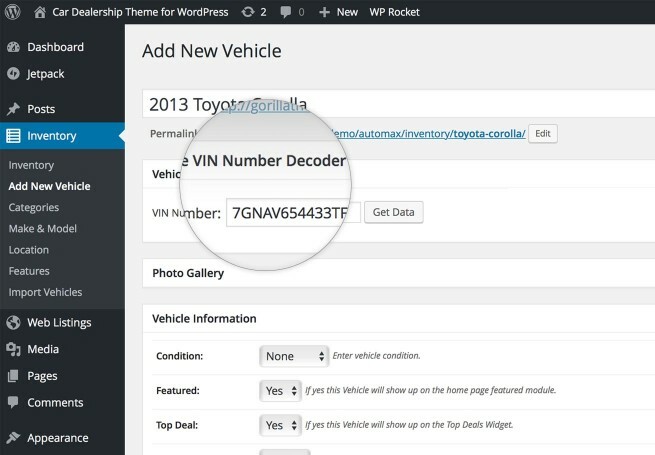 Input any VIN and with a click of a button get full vehicle data pre-filled in the listing and ready to be published. 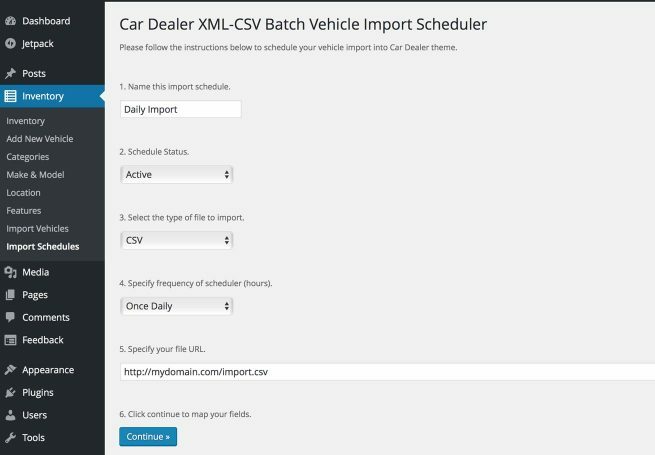 Using AutoMax VIN Decoder is the easiest way to add vehicles to your inventory, vehicle information can be added via VIN decoder or manually entered in each car listing in the Inventory administration module. 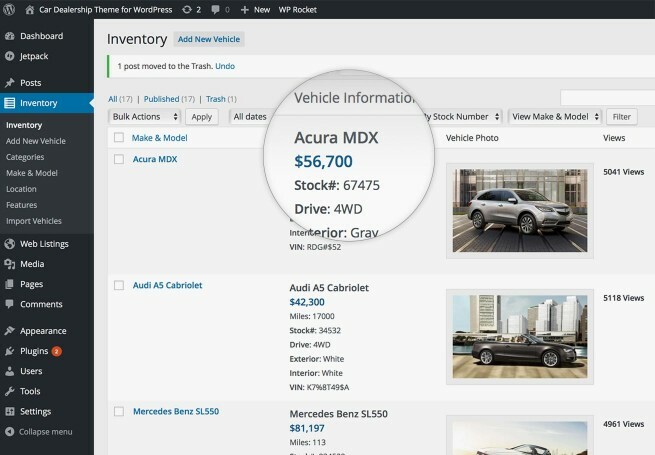 Vehicle data is provided for any car in the American market. 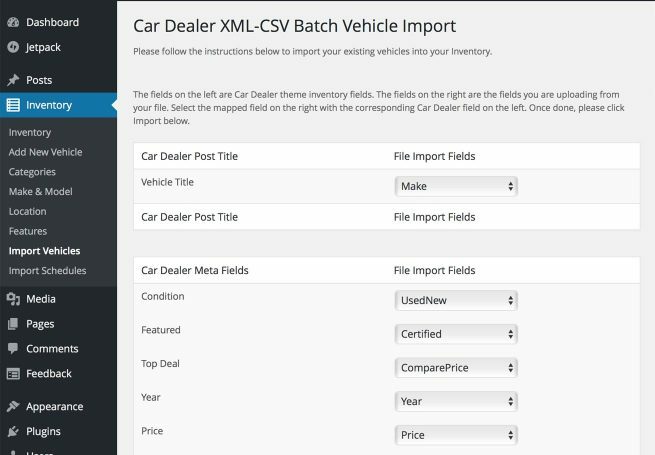 Batch import your existing car listings from any website with the provided XML & CSV Importer, map your existing fields to Auto fields and click import to populate all your listings. 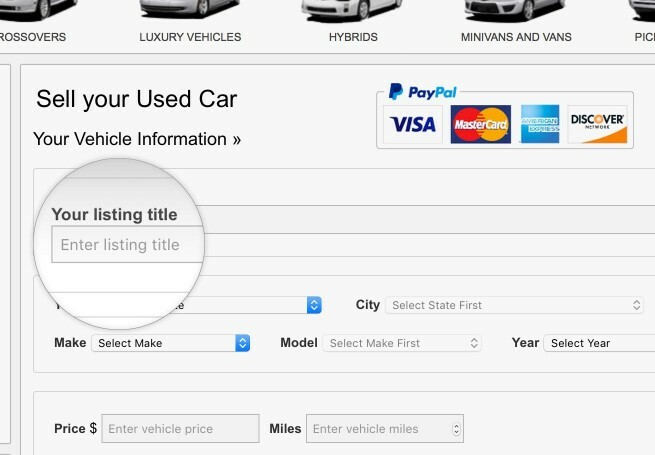 Get paid by selling classified ads for used car listings. 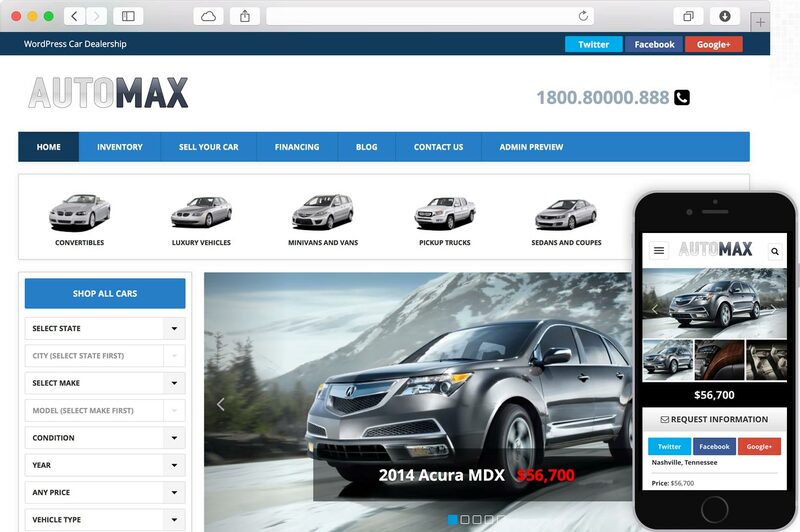 With AutoMax theme you have unlimited styles possibilities. 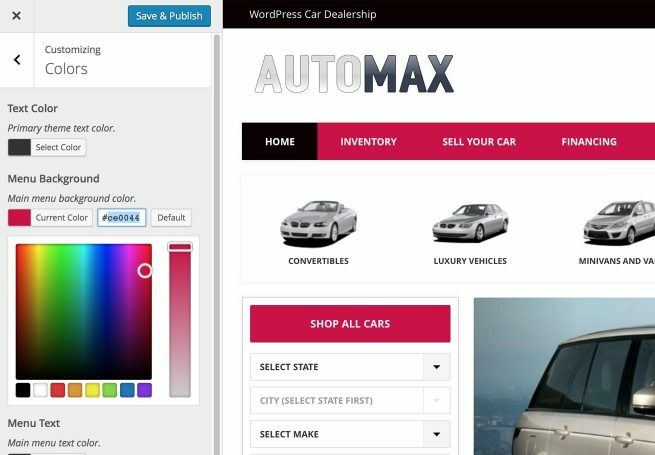 With the included WordPress live customizer you can change any colors in your theme and get an immediate live preview. 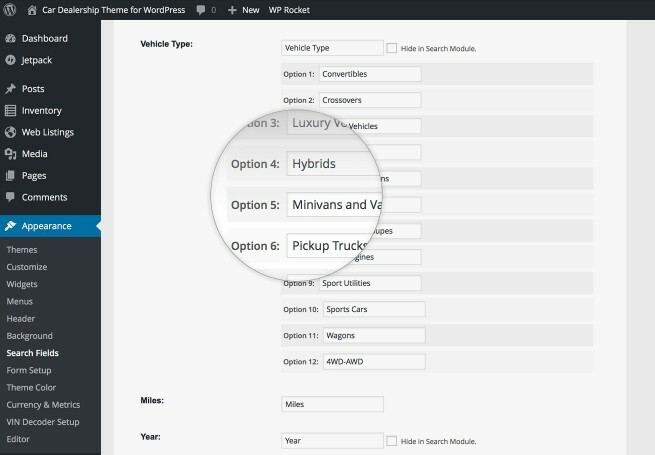 Customize colors, background, add your own logo, menu, widgets and more in the WordPress customizer with live preview. 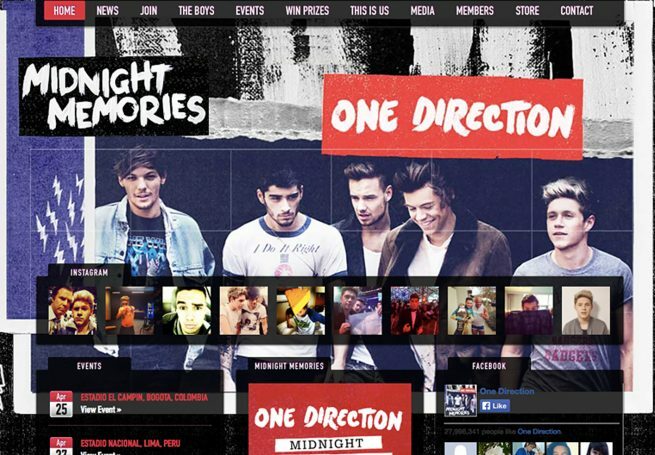 With unlimited styles you can give your company a fresh new design without editing any code. Select your color modules and change the theme colors in one click. 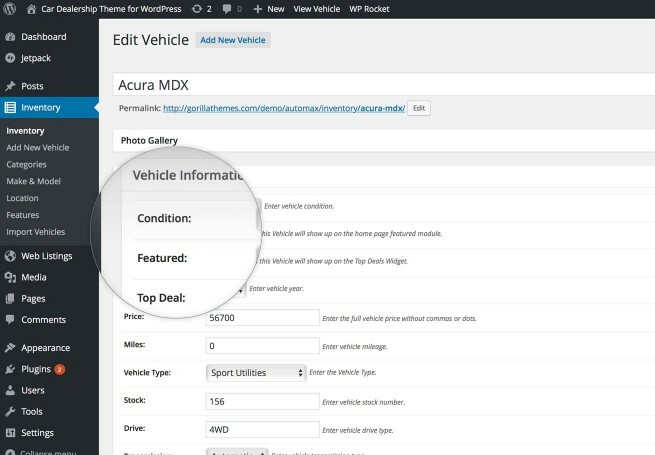 Customize any aspects of the theme with the included WordPress customizer module. Without refreshing your page, select any color module, change the color wheel and magically see your website colors changing live in front of your eyes matching your branding needs. You do not need to edit any code to change your styles. Add your company logo, change background color or background image, menu, text, widgets colors and more in one click.